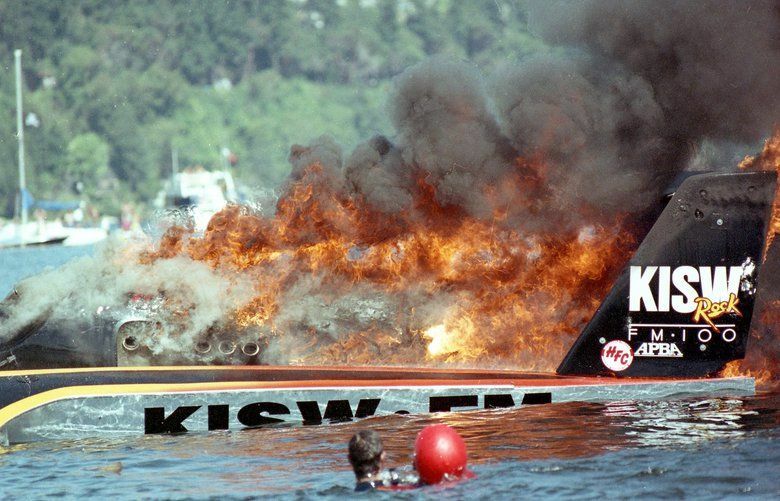 Seafair Weekend is here, and with it comes the 69th Boeing Seafair Air Show, featuring the Navy Blue Angels. Here's your guide to their stunt shows. Blue Angels pilots fly Boeing F/A-18 Hornets as fast as 700 mph and as slow as 120 mph (approximately). Stunt pilots perform different maneuvers each show, with more than 60 shows across 30 sites in the U.S. and Canada this year. An estimated 11 million spectators view the Blue Angels each year, including thousands around Lake Washington this weekend. Performances are influenced by cloud cover and visibility as they impact what maneuvers are safe to perform. The Diamond 360 is one of the few maneuvers that can be performed with a cloud ceiling of 1,000 feet, and is referred to as a “flat” show. A “low” show can be performed with at least a 4,500-foot-cloud ceiling, and a “high” show with a minimum of 8,000 feet can include all of their maneuvers. One of the Blue Angels’ maneuvers, the Diamond 360, is worth checking out for its incredible precision. This maneuver entails four pilots working together to make a tight diamond formation and positioning their jets only 18 inches apart (about the length of your forearm, elbow to fingertip) — the closest distance the Blue Angels fly next to each other. While in formation, the Blue Angels fly a 180-degree arc in front of the spectators, in such a way that their flight path would make a full 360-degree circle if they continued at the same trajectory. The air show starts at 1 p.m. daily, Friday through Sunday, over Seattle’s Genesee Park on Lake Washington with the Blue Angels performing their impressive acrobatics at 1:40 p.m., right after Fat Albert, the huge C-130 plane that tours with them. 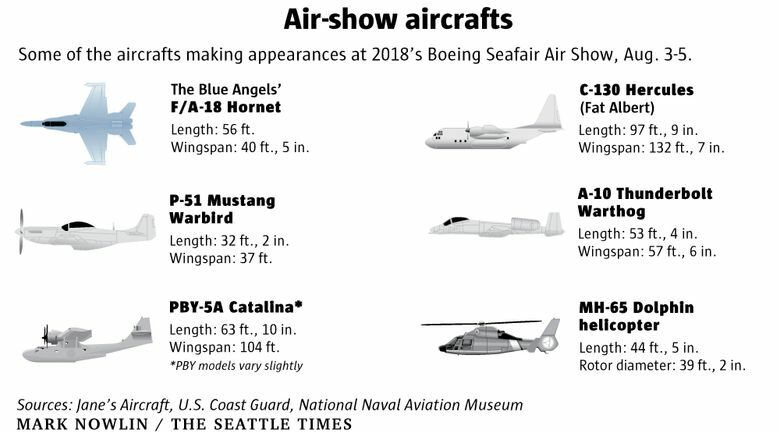 The show also includes Air Force A-10 Thunderbolt Warthog, P-51 Mustang Warbird, Mike Wiskus Aerobatic Stunt Plane, Brad Wuersten Aerobatic Stunt Plane, PBY Catalina also known as the American flying boat, the Port Angeles Coast Guard MH-65 Dolphin helicopter and others. Be sure to look for the Diamond 360 this weekend as the Blue Angels take to the skies.